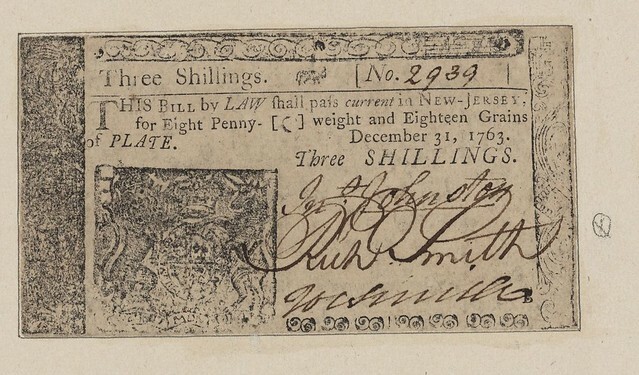 Massachusetts inspired a burst of colonial currencies, including a 3-shilling note issued by New Jersey in 1763. Hell hath no fury like an economist provoked by Modern Monetary Theory. Paul Krugman, Ken Rogoff, Larry Summers, and many others have attacked MMT, calling it "fallacious," "nonsense," and for good measure, "wrong." Federal Reserve Chairman Jerome Powell has slammed "the idea that deficits don't matter for countries that can borrow in their own currency" as "just wrong." The MMT debate is endlessly complex and increasingly hysterical. But it does not represent an entirely new chapter in U.S. history. Several centuries ago, a handful of creative colonists in Massachusetts came up with a desperate but undeniably ingenious solution to their monetary woes that anticipated one of the key tenets of MMT. It worked - up to a point. But in order for money to play this role, it has to maintain the confidence of those who use it and hold it. For that reason, conventional thinking once went, only something that has intrinsic value - gold and silver, most obviously - could play this role. Put differently, MMT holds that when it comes to government spending, the usual equation - governments collect money via taxes and then spend it on government programs - is backwards. MMT proponents claim the actual mechanics of money creation goes like this: The government spends, creating money in the process. This money goes into the economy, and is then removed via taxation. This can seem a bit counterintuitive, which is why it's helpful to go back in time to 1690s Massachusetts. Over the course of the seventeenth century, dissenting Puritans founded and developed the colony of Massachusetts into a thriving commercial hub. As the population and economy boomed, they faced a growing problem: a lack of money. The Puritans tried to solve the problem in different ways, like setting up a private mint and establishing private "land banks" (which used land titles as collateral for the issuance of paper notes). In each case, though, imperial officials quashed or thwarted these plans. Hutchinson and the others devised an unusual solution to the problem. 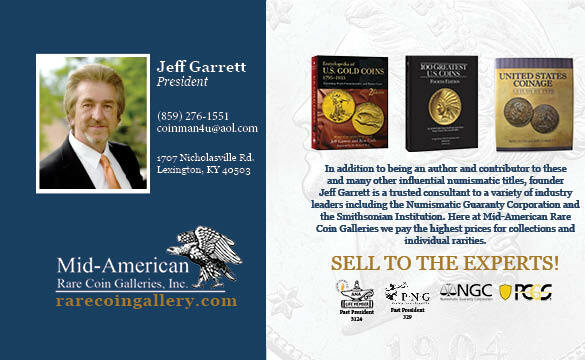 They issued what is generally recognized as the first fiat currency in the Western world. The twenty-shilling notes they printed cheekily claimed that they "shall be in value equal to money" - meaning that they were equivalent to silver coin. This was, on the face of it, preposterous. Massachusetts had no ability within its borders or beyond to compel people to accept the money at face value. Despite its promise to redeem the money at a "convenient time," the colonial treasury could not do so when it first issued the bills. Dror Goldberg, the leading historian of this formative episode, summed up this venture: "Never before has history seen such a weak money." Which begs the obvious question: Why would any self-respecting soldier accept it, or for that matter, a shopkeeper, merchant, or anyone else? The answer lies with the other language that appeared on the bill. It declared that they "shall be accordingly accepted by the Treasurer, and receivers subordinate to him, in all public payments." They could be used to pay taxes. Hutchinson and his allies spent before they taxed. And it was precisely that fact - that the money they injected into the economy would then be withdrawn via taxation - that gave the money its value. And it worked. The money circulated in the colony, greasing the wheels of commerce, and then disappearing at tax time. They didn't realize it at the time, but this group of dour Puritans had effectively invented a crude forerunner of MMT, though they would have probably called it PMT (Puritan Monetary Theory). A government spent before it taxed, creating money in the process; this money fueled economic activity; and then taxation sucked the money out of the economy. It was a brilliant invention, and as Goldberg notes, "The currency we use today is essentially the same as the money created in Massachusetts."